'SPECTACULAR'...'BREATHTAKING'! These are all words that have been used to describe our wonderful 2-bedroom ground floor oceanfront Condo. You want oceanfront? You got it! Many condo descriptions say 'oceanfront' when they actually just have a view of the ocean. It doesn't get any better than this. There are also very few ground floor 2 bedroom units In West Maui. Our guests love the accessibility of just walking out the Sliding door and your 20 feet from the heated pool. Your condo is located roughly 15 feet from the edge of the ocean! If you are not careful you might get WET. The view from our wrap around Lani is “UNPARALLELED”! The Sunsets will take your breath away. It’s not uncommon for Maui seasonal visitor “WHALES” to be seen playing a stones throw form your Lani. Your condo is a 2 bedroom with 2 full baths and is fully equipped. Now keep in mind both of the bedroom and bathrooms are located on the ground floor. That means no stairs to hassle with. The Master Suite has a King size bed and a fully appointed bathroom. The second bedroom has a new queen mattress . The living room has a Hi Def television with dvd/vcr and stereo. We have mirrored one entire wall in the living room. It adds a sense of spaciousness. An added benefit is that people sitting on each side of the room can view both the television AND the Ocean at the same time. We can sleep 6 people very comfortably. King bed, Queen bed and Sleeper Sofa that is very very comfortable. The condo is spacious and it's located close to shopping and dining. It's a 'can't miss' choice! Please be our guests. You will return. It doesn't get better than this. Make your plans now, you'll love it! Aloha thanks for the taking the time to look at our wonderful oceanfront Condo. If you have any questions please call. The view speaks for itself. We wanted DIRECT OCEANFRONT. Sit on your lani and watch the Whales in season or just grab a book and relax. Any closer to the ocean and you would need a KAYAK !!! The view is outstanding. You are lulled to sleep by the sounds of the ocean waves. There are grills present for grilling your dinner and the tiki torches are lit at sunset. We actually didn't spend much time at the condo as there is so much to do and see but the accommodations were great. Thanks for a wonderful Hawaiian escape. Mahalo. Great place to relax, see turtles & watch spectacular sunsets! Linda R.Where do you live? We wanted a quieter condo where we could just relax & enjoy the ocean. This is the best location at the resort - ground floor & closest to the ocean. It’s also close to restaurants & shopping. We had a last minute booking & yet Greg made everything go smoothly. If you are looking for a large resort experience, this condo is not for you. But if you want to enjoy the ocean, listen to the waves, see turtles on the beach & watch amazing sunsets, this is a great place to stay. This was our 2nd stay at this property, the owner is very accommodating, the views and property is outstanding. We watched whales play all day long from our patio, as well as the fabulous turtle activity. We look forward to returning to Polynesian Shores #126 in the near future! We loved it! A perfect paradise!! This is an amazing home way from home! Waking up and enjoying breakfast while enjoying a magnificent ocean view! We are definitely returning as we weren't able to experience all of the activities and sights of Maui. This condo is centrally located and makes it easy to enjoy zip-lining in the morning, snorkeling in the afternoon, and a delicious dinner in town to end the day! Many beaches are close by and fun times await you every day! Greg was available whenever needed and was a terrific host via text! This vacation was one we will forever cherish and we look forward to our next visit! AMAZING and mind blowing view, heavenly scents from the moment we stepped onto the grounds. Ready to book 126 for EVERY Maui vacation to come... it's home. The sound of the waves, sunsets, the turtles greeting us our very first day, grilling fresh fish for dinner and all the amenities of home. Thank you Greg for sharing this piece of Aloha. 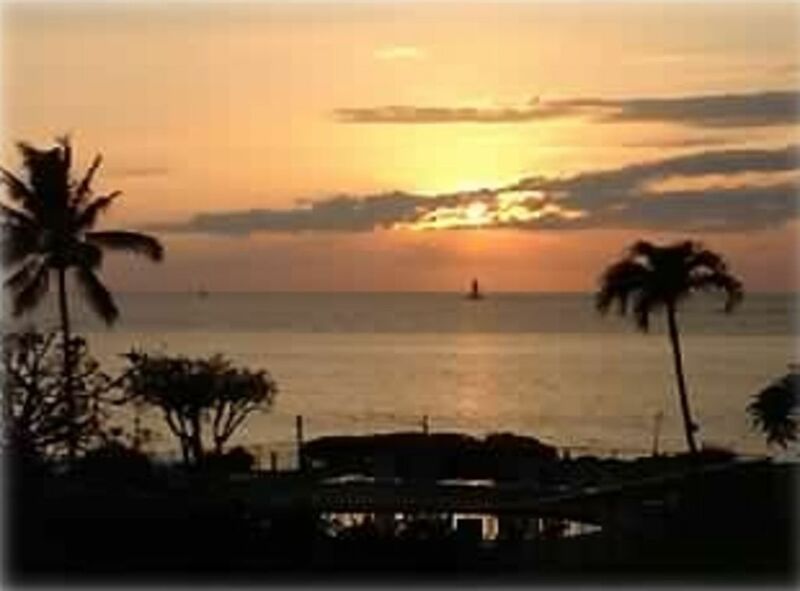 We have visited Hawaii yearly for the past 30 years Staying for one month and have stated in literally two dozen different condos so we have had lots to compare to always staying in condos on the south side of the island and were very excited for our first trip to Maui's West side. The West Side No Doubt is absolutely beautiful the beaches and water their are spectacular!! The condo is located in a prime location you can't get a better View or be much closer to the ocean this is true and I don't want to make it seem like I am putting in a complaint because I'm not I'm just being honest about the condo compared to other units we have stayed you on the island that this condo itself is getting old and lacked the little maintenance or mechanical repairs that became annoying when you're on a vacation..well.. at least to us anyway such as having things up kept and repaired mechanically working to make it feel like you were staying somewhere that was quality rather than just feeling like you're staying somewhere just for the view! First off don't ever let anyone tell you that you do not need air conditioning this was the first unit that we had ever stayed in Hawaii that did not have air conditioning as we were told because of the trade winds and the location we would not need it. I can tell you that this is false if you are in Hawaii from April through September you definitely would want air conditioning it got a little toasty in the condo even with all the doors open and the ceiling fans were adequate but they could have been better they're getting old and rundown and not really what I call a high-speed fan.. other things like the patio door rollers we're Stiff and not sliding smoothly, the curtains were old outdated and not easy to open you had to really pull on them to open them up.. all the closet doors were in need of repair and not functioning properly or falling off including the washer and dryer closet doors that are just hanging there on a broken track and constantly falling off every time you use them. The window cranks on all the windows were stiff and uneasy to open and there were a couple of screens one in the master bedroom that had small rips in them that let in a couple cockroaches..Like I said this is not meant to be a bad review it's just an honest review. ALSO upon our intial arrival or our entrance into the condo it would have been nice to receive a small aloaha gift basket or a bottle of wine. A small but nice touch Greg. Whale watching in season, Giant sea turtles!